This is a guest post written by the father of the Swindian. You can follow his blog here, which is details the various adventures that befall him on his travels around the world! 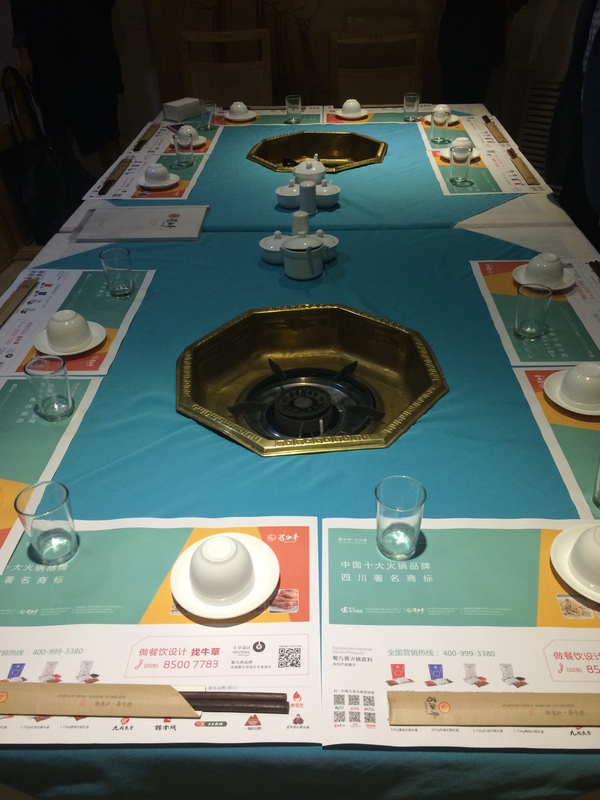 This week I visited the Chinese city of Chengdu for the first time. Chengdu, which is famous for its panda park, is the fourth largest city in China and the capital of Sichuan province. 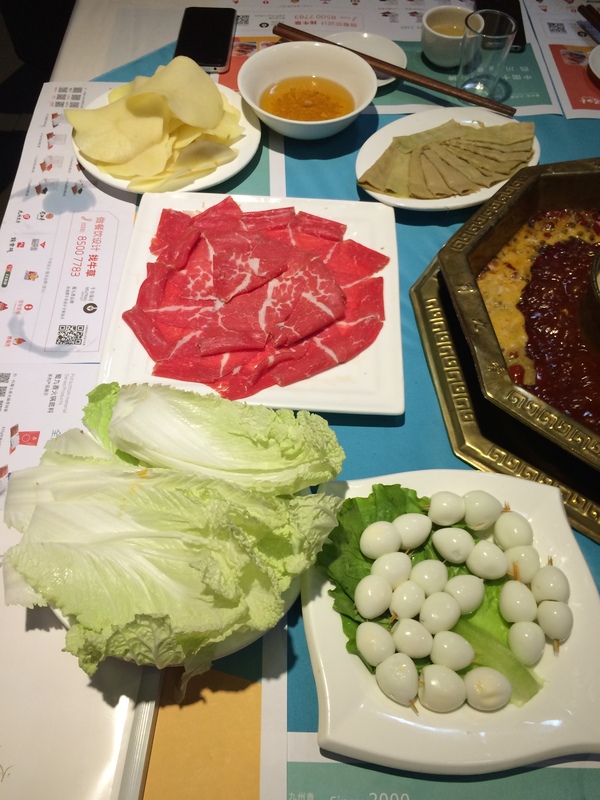 When I told people that I was traveling there, everyone asked me the same two questions: can you handle spicy food and will you be having the hotpot. Yes, Sichuan province is well known for their fiery red chillies and pepper that leaves your tongue numb and makes you scream for more! 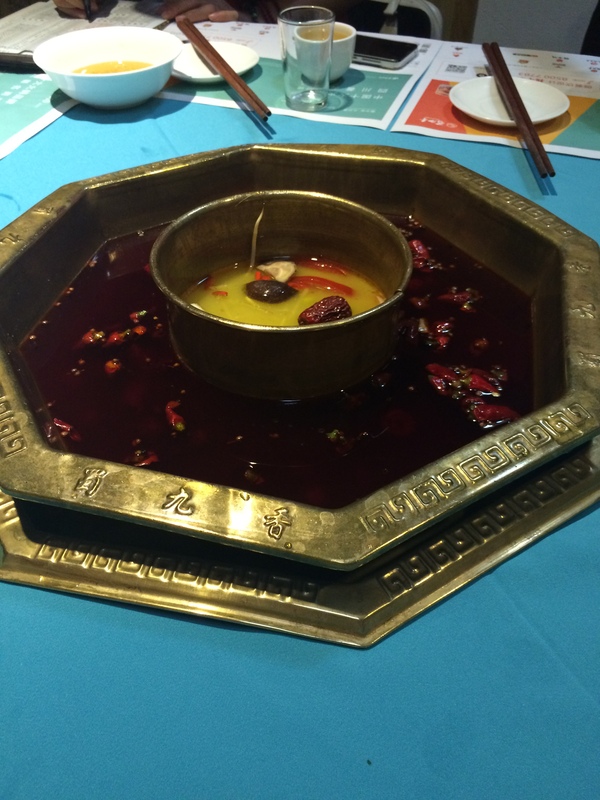 There are two burners in the middle of the tables which were soon filled with chilli oil and mild chicken soup in the middle for the faint hearted. Meats and vegetables followed in quick succession. 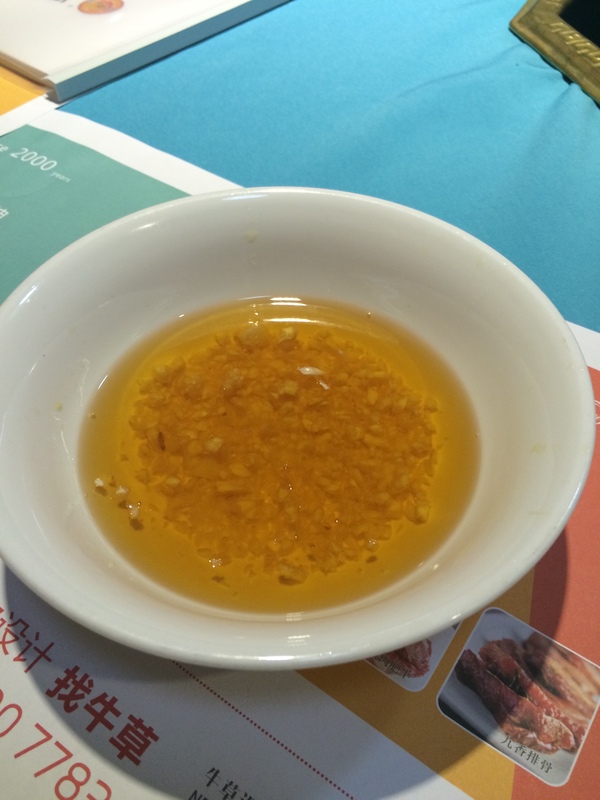 Soon the oil and soup started to bubble. 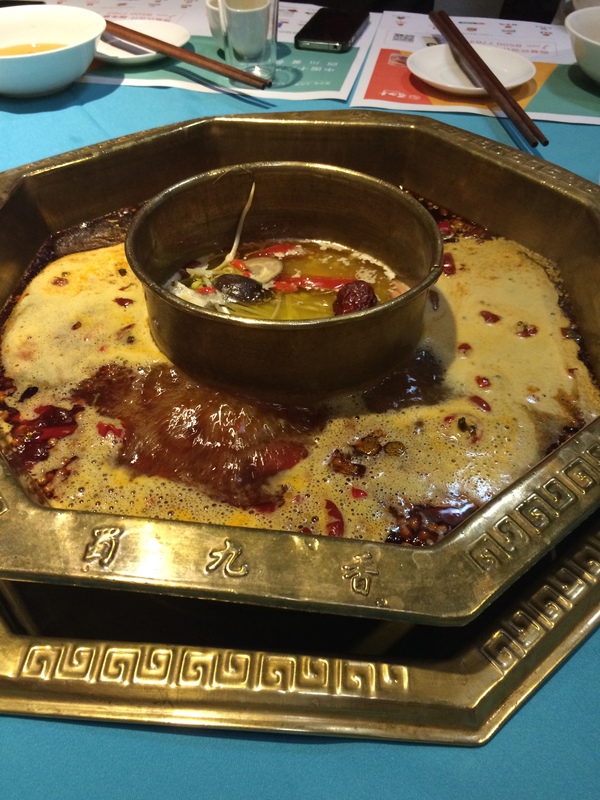 We also had a bowl of sesame oil with ginger in it to dip the cooked meat and veggies. We could have added soya, spring onions, peanuts, chilli sauce and what have you to the oil, but that was not offered. 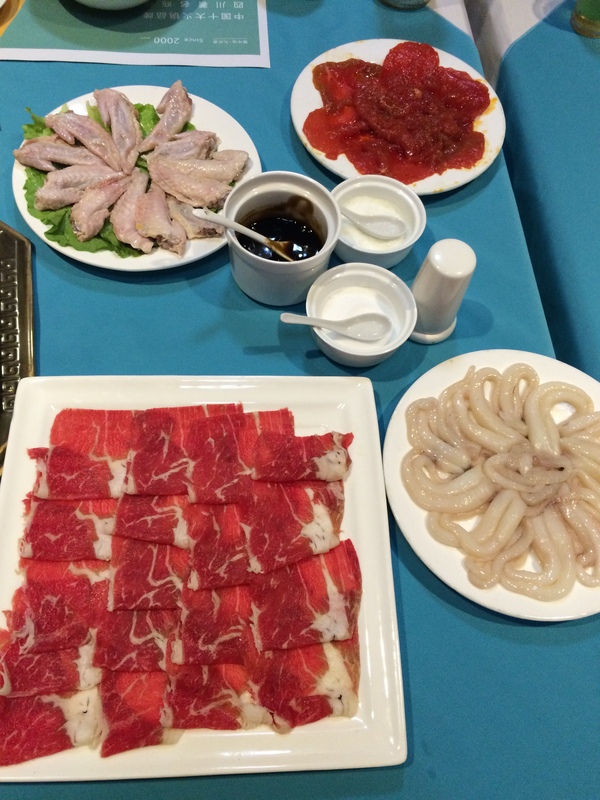 Then the process of dipping the raw ingredients into the hotpot and fishing them out commenced. The waitress came by occasionally to add soup to the pot to keep the flavor going. 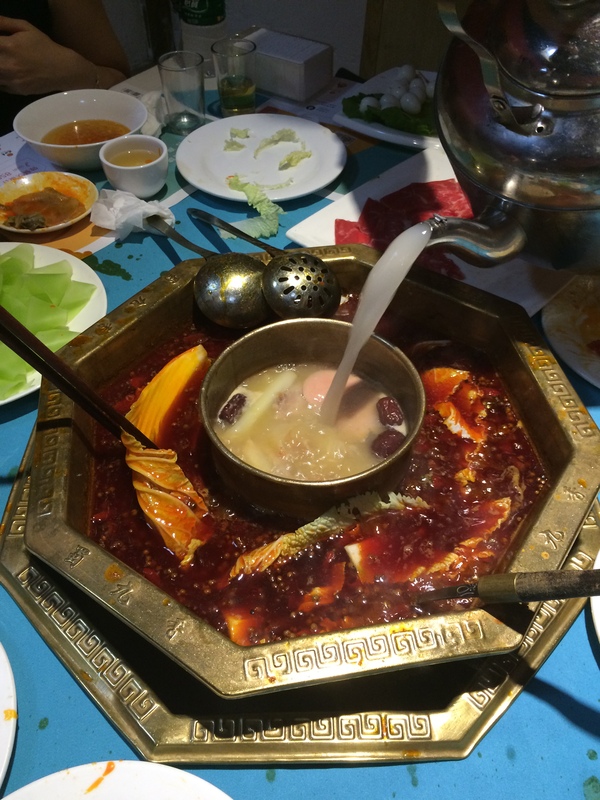 Some of us drank the very potent Chinese liquor called Baijo, and others stuck to beer or water (they, ahem, me, were officially classified as chicken!). A feast it was, but perhaps one should not go at it too often!